Today is the day that we announce our Top 3 designs from Sketch # 222! How exciting! All of our designs this week were fabulous and we love them all. Our Top 3, while all are awesome, they are shown in no particular order. Congratulations on your great designs ladies! Please feel free to grab out “Top 3” blog badge from the right side bar and display it proudly. For even more great designs, jump on back and check out all of the great entries to Sketch # 222 here. Wednesday is a fun day, not only do we announce our Top 3 but we also get to bring you the fun and creative creations from our Design Team for Sketch # 223. This week we have Liz Mullins Johnson as our guest designer. 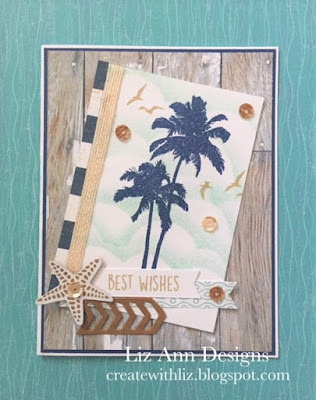 Thank you for selecting my card as a Top Three in challenge #222. Congratulations to the other two winners.